Your kitchen runs solely on electricity, without it you wouldn’t have access to any of the devices you use daily, or even have a source of lighting. Due to this, it’s crucial that your kitchens electrics are well looked after, and that if you think there is a fault you have it checked over and repaired as soon as possible. Our services for kitchen electrics can involve anything from inspections to complete rewires, dependant on the circumstances. Or if you have recently had a kitchen renovation or remodel, you may want to invest in new wiring to match your brand new kitchen. Not only does this improve the efficiency of your kitchen, but it also decreases your electricity bills and can help increase the longevity of your kitchen appliances. Sudden bursts and electrical surges can immediately cause expensive kitchen gadgets to malfunction, so you could end up spending more money on regularly replacing appliances. 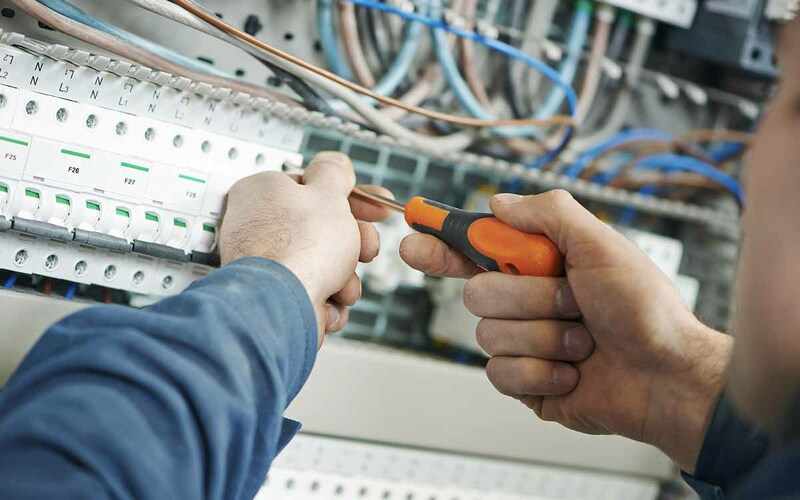 Our qualified electricians can provide any electrical services within the kitchen, and can guarantee there will be no hidden costs or added fees.